Free In Home Estimates - We bring the product samples to you! Only $6.25 per sq foot installed! Unlike our competitors, we give you the hardwood, installation, carpet removal, furniture moving, shoe mould and thresholds all in one low square foot price. 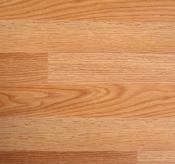 3" or 5" wide plank, 7 colors to choose from. 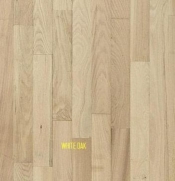 Only $5.49 per sq foot installed! 7mm to 8mm, includes pad.12 mm available! 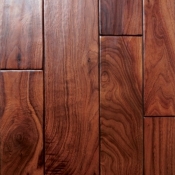 Just $3.99 per sq foot installed! 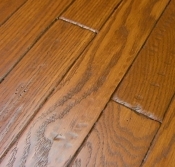 Let us refinish your existing hardwood floors starting at $1.99 /sq foot! 400 ft minimum. Screen and re-coat starting at $0.70/sq ft. (400 ft minimum). Waterproof, scratch resistant. Pet and kid friendly. $3.99 per sq ft installed! installed, sanded, stained and finished the color of your choice. 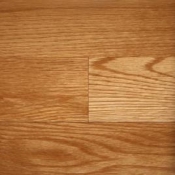 White Oak Starting at $6.00 per sq foot! We remove that old carpet from your staircase and install solid wood treads stained and finished the color of your choice with a white riser. Starting at $95.00 per step! 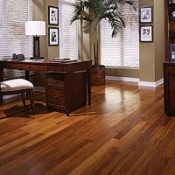 Capture the beauty of distressed, hand scraped hardwood flooring for your home. Starting at an amazing $5.29 per sq foot installed! Many more low price deals available!